August 2, 1943 – The U.S. Navy patrol torpedo boat, PT-109, sank after being attacked by a Japanese destroyer. The boat was under the command of Lt. John F. Kennedy. In July 1943, according to the official Navy report, Kennedy and the crew of PT 109 were ordered into combat near the Solomon Islands. In the middle of the night on August 2, their boat was rammed by a Japanese destroyer and caught fire. Several of Kennedy’s shipmates were blown overboard into a sea of burning oil. Kennedy dove in to rescue three of the crew and in the process swallowed some of the toxic mixture. (Kennedy would later blame this for chronic stomach problems.) For 12 hours, Kennedy and his crew clung to the wrecked hull, before he ordered them to abandon ship. Kennedy and the other good swimmers placed the injured on a makeshift raft, and then took turns pushing and towing the raft four miles to safety on a nearby island. For six days, Kennedy and his crew waited on the island for rescue. They survived by drinking coconut milk and rainwater until native islanders discovered the sailors and offered food and shelter. Every night, Kennedy tried to signal other U.S. Navy ships in the area. He also reportedly scrawled a message on a coconut husk and gestured to the islanders to take it to a nearby PT base at Rendova. Finally, on August 8, a Navy patrol boat picked up the haggard survivors. 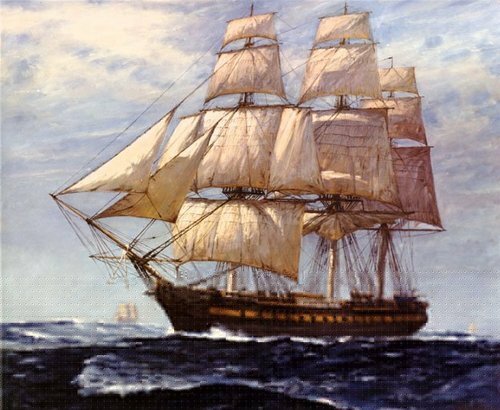 Mar 27, 1794 – The U.S. Congress authorized the creation of the U.S. Navy. 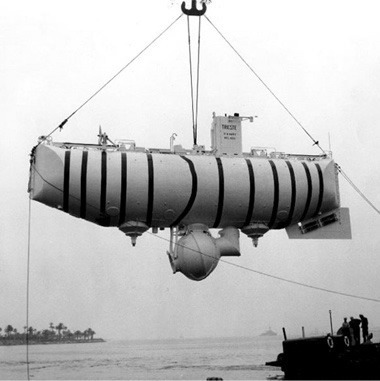 Jan 23, 1960 – The U.S. Navy bathyscaphe Trieste descended to a record depth of 35,820 feet (10,750 meters) in the Pacific Ocean.